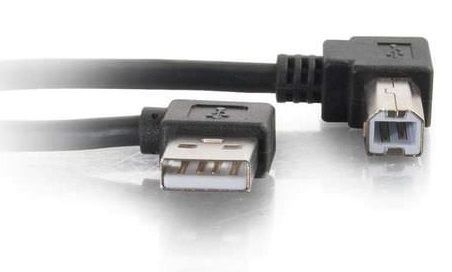 Just plug-and-play for keyboards, mice, modems, printers, and other USB peripherals. 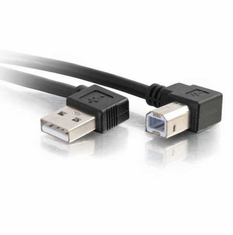 This cable provides a transfer rate up to 480 Mbps depending upon the peripheral's USB version, and easily attaches to any USB device. Foil and braid shielding reduces EMI/RFI interference and twisted pair construction helps reduce crosstalk thus ensuring high speed, error-free data transfer. 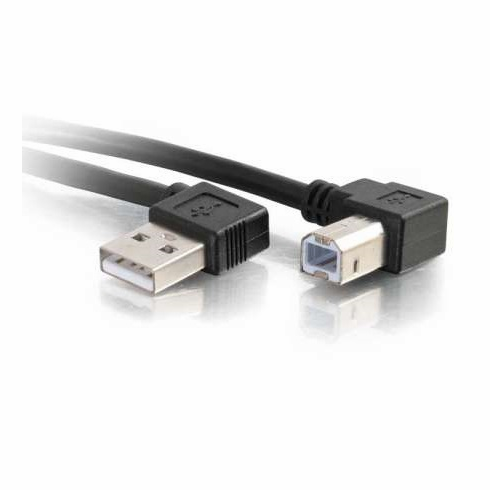 Its small right angle form factor is ideal for today's compact portable devices while easily transferring data or charging your devices. 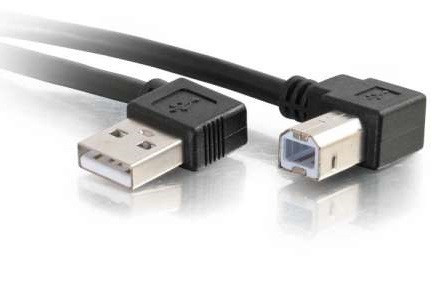 Supports high speed USB 2.0 devices (480 Mbps), and is backwards compliant with full-speed USB 1.1 (12 Mbps) and low speed USB 1.0 (1.5 Mbps).